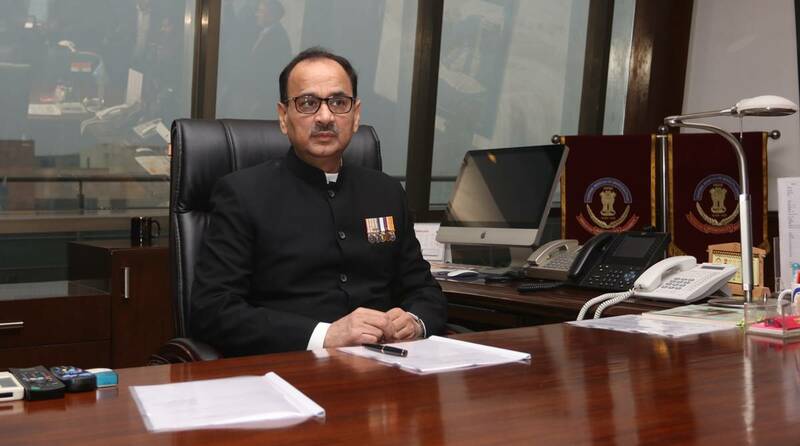 The Supreme Court on Tuesday reinstated Alok Verma as CBI Director, setting aside the Centre’s decision to divest him of his powers as the head of the premier investigating agency and sending him on leave. The judgment comes days before Verma’s two-year tenure as CBI Director ends on January 31. Pronouncing the judgment on a petition filed by Verma and NGO Common Cause challenging the government’s decision taken on the intervening night of October 23 and 24, the apex court, however, said the officer would “cease and desist” from taking from taking any “major policy” decision until the Central Vigilance Commission inquiry into corruption charges against him was over. The bench of Chief Justice Ranjan Gogoi, Justice SK Kaul and Justice KM Joseph also said any further decision against Verma would be taken by the high-powered committee that selects and appoints CBI Director. Justice Kaul said the selection committee would meet within seven days from Tuesday. The selection committee comprises the Prime Minister, the Leader of Opposition and the Chief Justice of India. The court also set aside the Centre’s decision appointing M Nageswara Rao, who was the CBI joint director, as its interim chief. Rao was appointed the interim chief after Verma was sent on leave after being divested of his powers as CBI chief. The decision had come after the CBI registered an FIR against CBI Special Director Rakesh Asthana, accusing him and DySP Devender Kumar of extortion and corruption. Devender Kumar had been arrested. The feud between Verma and Asthana had become public as they levelled allegations of corruption against each other. Tuesday’s judgment, penned by CJI Ranjan Gogoi, was read out by Justice Kaul and Justice Joseph as the CJI did not attend the court.